We are excited to have experienced Psychic Medium Mr. Don Davis at the shop this Saturday from 1pm to 4pm! He will be available for readings during this time. Mr. Davis has over 45 years of experience and a richly diverse background in the paranormal field. Reading rates: $3 per minute, 10 minute minimum. 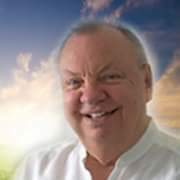 In 1973 I opened my heart and mind to accepting my precious gift as a ‘natural born psychic’, finally realizing that these abilities were given to me for a very important purpose. It was at that point I knew that helping others was such a crucial aspect of my own journey. As I traveled the country I was thrilled to see how many people I was able to provide with insight and guidance. My passion for my work continued to flourish and I saw how many lives I was able to improve with my guidance and highly accurate predictions. I’ve had many life altering experiences seeing people grow and even aiding the police throughout my career. Along the way I’ve been bestowed with several wonderful honors, including recognition as a Healer by the Universal Temple of Truth Foundation. I’ve also shared my abilities with others as a member of the Educational Society of Parapsychology. Now I continue to work with private individuals, police departments, and private investigations, as well as with several businesses and professional associations. I regularly make appearances as a guest lecturer for business and professional groups, helping with growth, group unity, and motivation. I split my time between Phoenix and Chicago where I am frequently a featured psychic at several area psychic fairs. Previous PostPrevious Hours & Sale for Independence day!!! Next PostNext EarthnSpiritSprite Jewelry collection at Des Moines New Age Shop!! !